Versatile and effective. Safer for you, your family, and the environment. 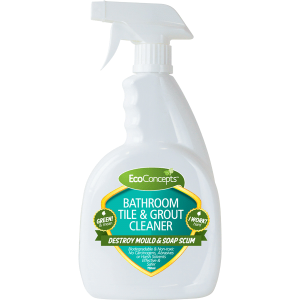 EcoConcepts Bathroom Tile and Grout Cleaner is a hard-working cleaner with a unique blend of surfactants and water conditioners that’s certified for safer use, removing mould, mildew, soap scum and hard water deposits from surfaces and fixtures with minimal effort. Rinses easily leaving a clean and sparkling finish. Contains no carcinogens, phosphates, chlorine bleach or harsh solvents. EcoConcepts represents truly green cleaning. Safer to use on tile (ceramic and quarry), grout, concrete, plastic, glass, rubber, enamel, stainless steel, vinyl, terrazzo, Formica, and painted, varnished and other surfaces. 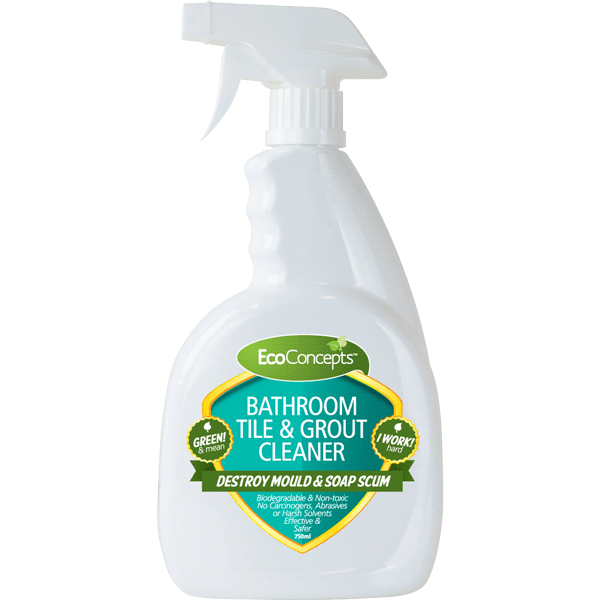 Not recommended on marble, limestone or other natural stone surfaces, use EcoConcepts Kitchen and Household Cleaner. Destroy mould and soap scum! EcoConcepts’ cleaning range has the highest standards of ‘green compliance’ on the market. Green Seal uses science-based programs to empower consumers, purchasers, and companies to create a more sustainable world. Helps consumers, businesses, and institutional buyers identify cleaning and other products that perform well and are safer for human health and the environment. Certified that neither they nor their ingredient suppliers conduct, commission, or pay for any tests on animals for ingredients, formulations, or finished products. The world’s most recognised and trusted Kosher trademark. The US Green Building Council is transforming the way we design, build, maintain and operate our buildings, homes and communities. Eco Concepts Inc is a member of the International Sanitary Supply Association. I’m ready for you to use. Simply spray and wipe clean with a sponge, and let sit for tougher soils. Rinse with water. 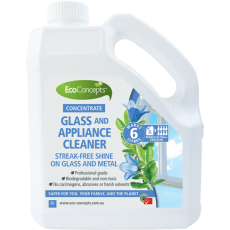 EcoConcepts is a recognised global leader in the development and manufacture of high-performance, safer chemicals for the industrial, janitorial, marine and domestic markets, with the highest standards of certified green compliance. In Australia EcoConcepts is represented by Master Distributors. © 2019.